Blaine Washington, August 24, 2009. Just received word from Blaine that the City Council has given its approval for the Blaine Coalition for Historic Preservation – Saving Blaine Station – to present its case to the Port of Bellingham. Station Number One. 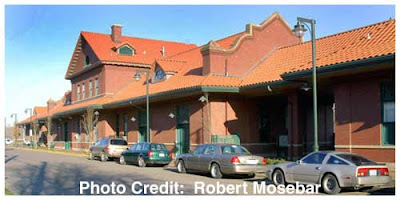 The Coalition is striving to save the former Great Northern Railway station in Blaine from being run down by a bulldozer. The Burlington Northern Santa Fe (BNSF) double tracking north of Everett threatens to run down the hallway of the valiant old station. Anyone who has been involved in preservation projects understands the tedious mine field full of political potholes one has to navigate to save a structure. The Coalition in Blaine is not planning a trip to the moon, but a mere move of some 600 feet from the present site to a new location in a waterfront park. 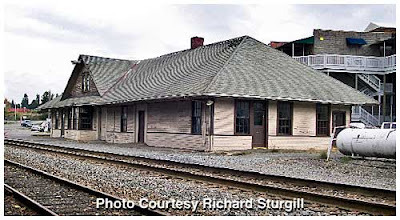 Success stories concerning saving old railroad structures are rare. If a property is identified before the railroad runs a bulldozer over it, the expense of moving and bringing a building up to current building codes for public occupancy, including electrical, plumbing, fire protection, and Americans with Disability Access, can be astronomical. Station Number Two. On the other hand, if a station like Centralia Washington is on an active railroad and used as a regular passenger facility, well then, an entirely different scenario presents itself, with Federal funding readily available through the “Great American Stations” program. 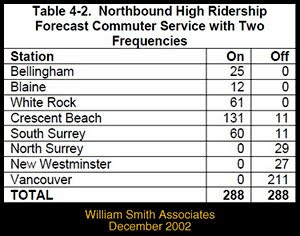 There was a feasibility study done for establishing a commuter train with twice daily service between Bellingham and British Columbia’s New Westminster Sky Train station, which could have revived the Blaine Station. The study estimated that approximately two hundred riders would never justify the cost of line improvements required to support such a service. 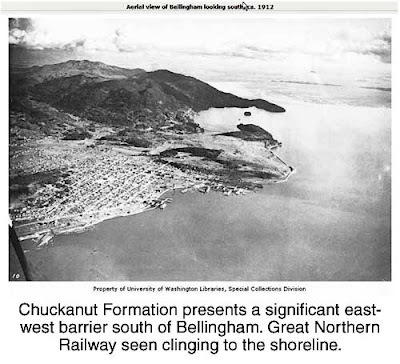 Even now, the BNSF is unable to run stack trains north of Everett, without having to drop the floors of four tunnels through the Chuckanut Formation, bored back in the early 1900's. Unlike Centralia, Blaine is no longer a revenue point, and Amtrak roars through town without stopping, the community is on its own to save the building! My local depot got severely shortened in the early 80s, becoming the 40 foot version it is today. 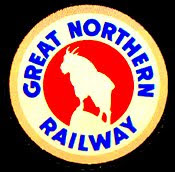 Any beauty it had back in GN days is long gone. Finding decent photos of it back then is hard too. The local museum had the GN Arrival and Departures board from the depot, but it was recently lost in a fire a few weeks back. I'm sure glad I snuck my camera into the museum and have a photo of it. They sure don't.